Attention, food-lovers! Do you love free food and wine tastings and cooking demonstrations? Will you be in South Florida between November 8th and the 11th? Then you need to check out the first annual Flavors of Fort Lauderdale. The event will take place in Fort Lauderdale’s Las Olas Marina, and there will be over 35 different restaurants preparing their signature dishes for guests. But that’s not all! 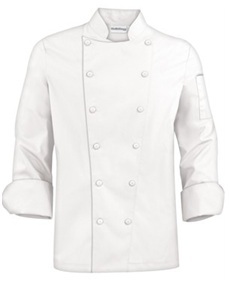 ChefUniforms.com has agreed to sponsor this event by way of donating our signature chef coats to the cause. Twelve chefs will be participating and will be wearing our coats, and you get to see them in action, first-hand! 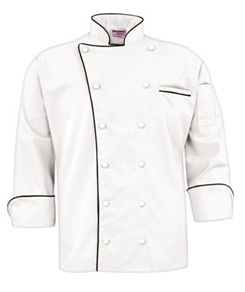 Some will be wearing the Chef Uniforms style 63313, a traditional chef coat with underarm vents, and made with 100% cotton for maximum breathability. 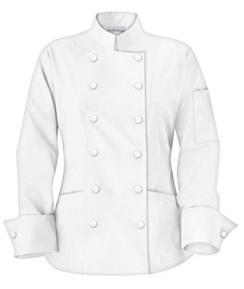 Others chose 83113, another traditional chef coat that contours to provide a more flattering fit for women. You can see Chef Robyn Almodovar and the Five Fabulous Female Chefs in their brand new chef attire, by visiting the Flavors After Dark Event on Saturday, November 10th from 6-10 P.M. On Sunday you can see the “Ambassador of Flavor”, the event’s Master of Ceremonies, Chef Allen Susser in his new uniform (below), an Uncommon Threads Egyptian cotton chef coat. The Flavors of Fort Lauderdale Event is a celebration of the culinary lifestyle and is open to anyone who has an appreciation for good food and fun. Many local and regional restaurants will be participating, as well as many great chefs from the area. A portion of the event’s proceeds will benefit a South Florida Charity called Feeding South Florida. This charity is a not-for-profit organization that helps to provide food and other grocery products to people in need, as well as to educate and engage the community in the fight against hunger and poverty. For more information about the event and for complete time, location and ticketing information, please visit http://www.flavorsfortlauderdale.com/.